Saatva Mattress Review - Is it actually a good value? Saatva Mattress Review – Is it actually a good value? 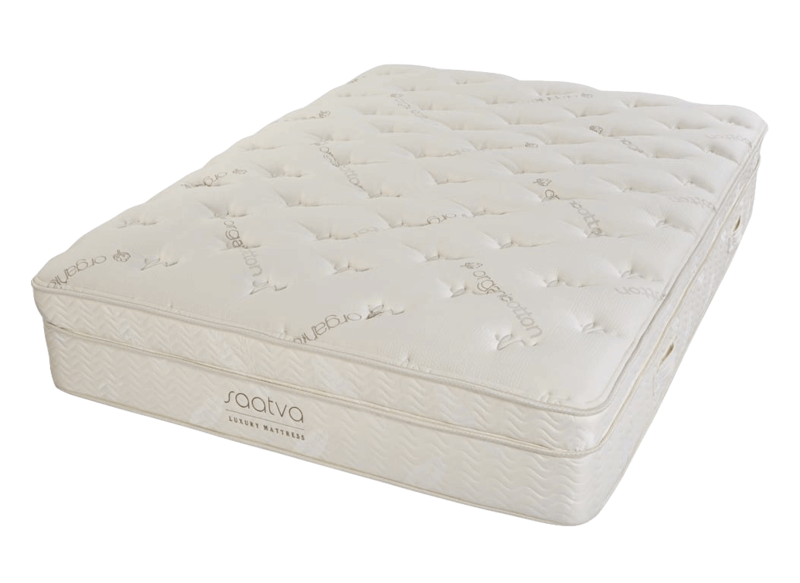 Saatva is a great option for a luxury innerspring coil on coil pillow top mattress for bounce lovers. I know you’ve probably heard of big names in the online mattress world like Casper and Leesa. But have you heard of Saatva? 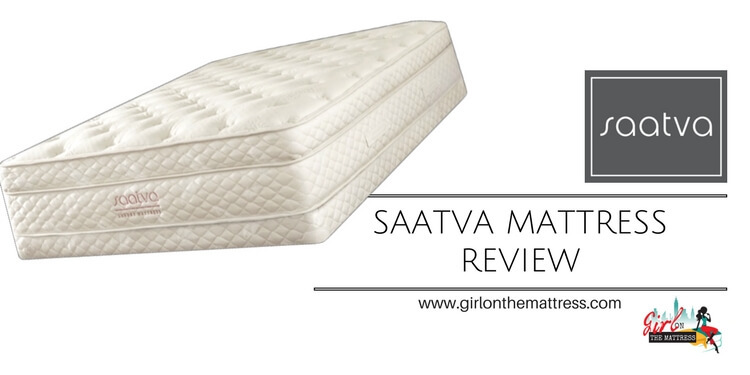 In my Saatva mattress review you can find out everything you need to know about it! Saatva is premium online mattress company that’s bringing something different to the table. What I like about them is they’ve said sayonara to the typical “foam-only” mattress and instead created a premium mattress using both innersprings and foam. 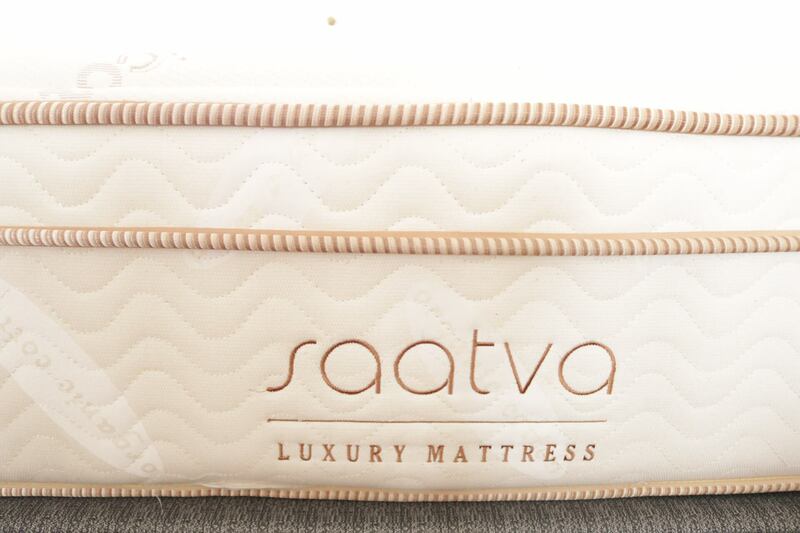 Intrigued how the Saatva mattress fares against the online staples? I’ve taken out the guesswork and did a full review on the Saatva mattress. Read it below for the complete scoop or skip to my final verdict. The Saatva mattress is different. Instead of being constructed from foam only, they’ve created a unique method they dubbed as “coil-on-coil” construction. True to its name, this means they’ve inserted two layers of coils into the bed. This is different. And frankly, it’s exciting to see a company go a different route. Overall, this mattress feels like a more traditional bed because of its construction style. It doesn’t have the same “sink” like the bed-in-a-box memory foam mattresses typically available online. Top Layer – Organic cotton cover with a European style pillow top. Second Layer – 1-inch thick memory foam. Now, you’ve heard it time and again, bed sleepers shun memory foam because of its tendency to retain heat. Instead of using a thick layer of memory foam, Saatva only uses an inch of it in order to try and minimize the heat retention. Third Layer – Individually-wrapped coils are Saatva’s secret sauce. These coils are sensitive to your weight and respond and contour to your body shape the moment you lie down. Saatva uses 1,088 individually wrapped coils per King in their top layer which is more than the mainstream brands. 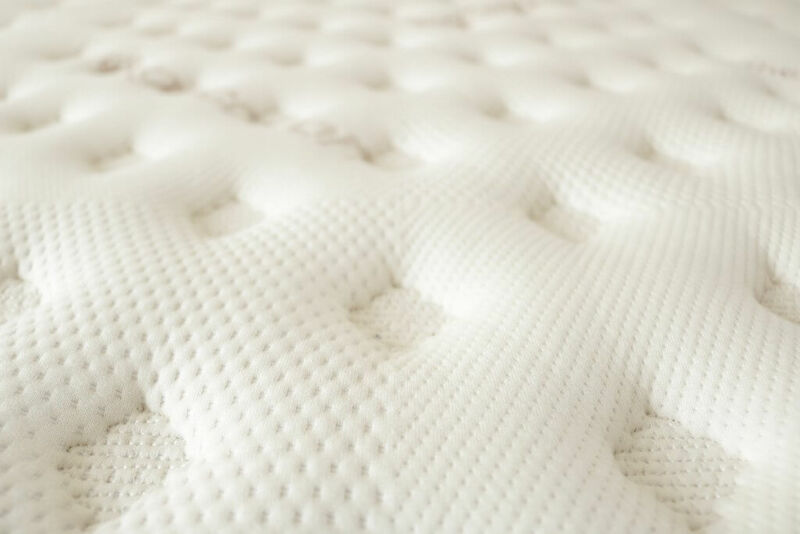 A higher coil count in a mattress generally means the mattress has greater shape-conforming abilities. Fourth Layer – Found near the bottom of the bed, Saatva uses a layer of Bonnell coils for support. This is where the “coil-on-coil” name comes from. The bottom part is a steel coil base, much like you would find in traditional beds. Each steel coil features an hourglass shape and provides a sturdy base for the rest of the upper layers. By now, you know I have a thing for beautiful covers. I love it when a company places attention on their covers because it shows how much attention they would give their actual product. 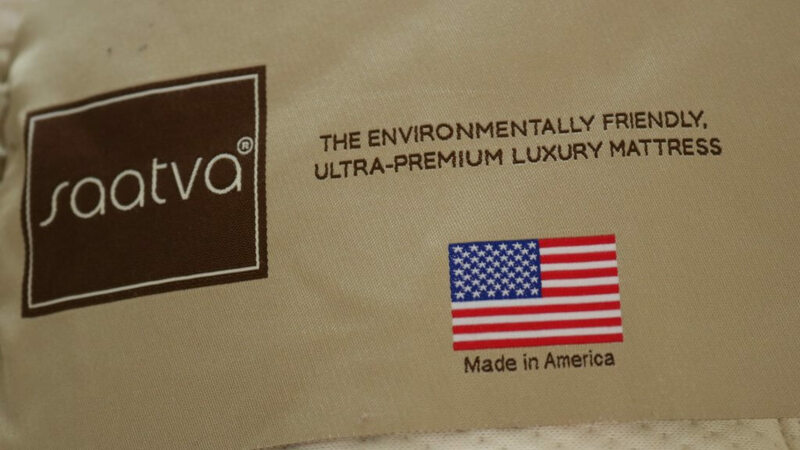 The Saatva mattress uses a 100% organic cotton cover. By itself, it means it’s soft and breathable. This also means it creates a cooling effect when you sleep. If you see the mattress for the first time and have used Saatva’s luxurious Loom & Leaf Mattress, they’re pretty much the same cover. In fact, it would be difficult to tell the difference. There’s only one major thing that makes this cover different – the euro style pillow top. Inserted underneath the organic cotton cover, these pillows run to the edge of the mattress instead of jutting out from one part of the bed only. Built-in Euro Pillow – The built-in euro pillow top layer is a great feature. It creates a totally different feel from the memory foam/latex mattresses and really differentiates Saatva from the bed-in-a-box brands like Casper and Leesa. It actually made me long for more spring mattresses. After sleeping on a foam mattress for so long (even if they were pretty comfortable) you just can’t replace the lovely bounce you can only get in a spring mattress. No Single Firmness – Further differentiating themselves from the herd, the Saatva took it one step further and offer 3 options when it comes to firmness. Honestly, even though I don’t like it when a company bombards me with options, not everyone is like me. Some people do have a preferred softness or firmness when they sleep. Pricing – Some people consider the Saatva mattress to be on the steeper end, especially if you could get say, a Helix mattress that starts at $350. BUT, you get what you pay for. High-end Eurotop mattresses like Saatva is way more substantial both visually and in overall durability and construction style. Saatva is so confident with their product that they urge anyone buying to take their sheets and specs into a brick and mortar mattress shop and compare the price for the specs they provided. A twin size Saatva mattress starts from $599 and queen size starts from $999. Oh, and did I mention they don’t charge sales tax? Hey, $50 to $150 off is always a good thing. 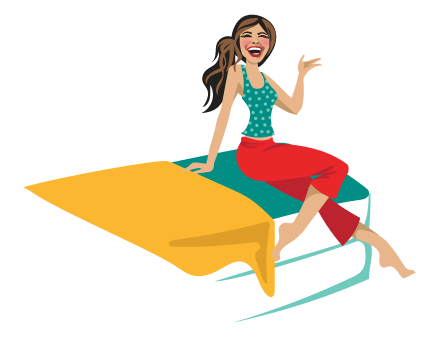 Motion Transfer – It wasn’t the end of the world for me but like all spring mattresses before it, the Saatva mattress does have a bit more motion transfer. It’s not extreme though, just something you would notice if you were sensitive to movement. Light sleepers and 360-degree sleepers might prefer a Loom & Leaf or Leesa mattress if too much movement is annoying. No Free Shipping – Yes, I do love me some free shipping so it’s kind of a bummer that Saatva doesn’t offer this. Then again, since they don’t offer a strictly foam mattress; it means it can’t be shipped in a small box. After 7-15 days of placing your order, two burly but nice guys will deliver it to your home and even set it up for you. All for $99. That seems a lot but once you see and try the mattress, you’ll know your money didn’t go to waste. I fully enjoyed sleeping on the Saatva mattress. It reminded me of how much I loved the bounce spring mattresses offer. Plus, the quality of the product is superb!! An added bonus for me was the visual beauty and the comfort of the euro-style pillow. If you know you like a spring mattress with a traditional feel, Saatva is a great bet. 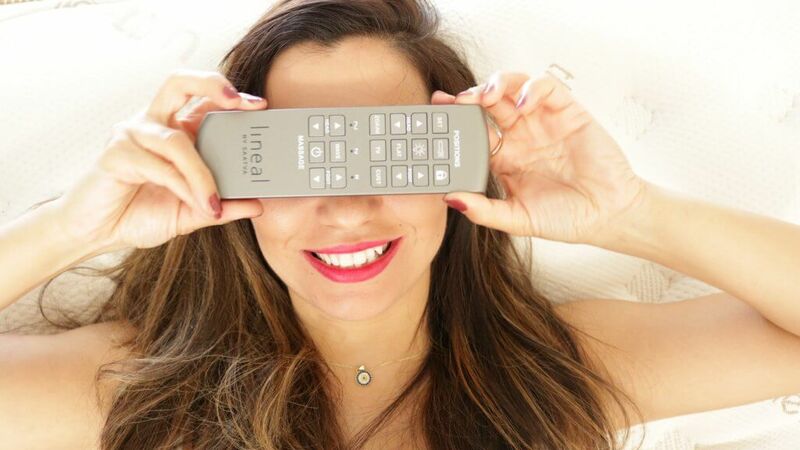 If you know you want a bed-in-a-box or really enjoy the Tempurpedic/memory foam feel, you are better off checking out Nest Bedding or Leesa.